We got our pontoon boat in the water with a fresh start to the summer fishing. The lake trout are biting. 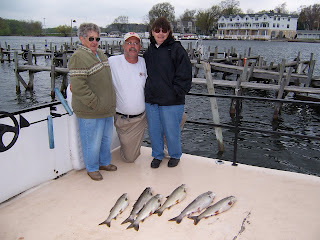 It was a cool day on May 7th '08 and these folks are happy with their limit. These fish all averaged over 20 inches long.